There are a number of differing companies from which to choose dental coverage. Plans vary by company so it is important to compare the pros and cons of each plan and company before deciding upon the best coverage option for you and your family. This listing has information about some of the most largest, most popular, and most affordable companies that offer dental insurance. Delta Dental is a nation-wide dental company system that provides affordable dental coverage to millions of members through its various affiliates. Their customers include individual clients as well as commercial and governmental organizations. Delta Dental is known for providing quality dental care at reasonable prices. It is one of the largest dental insurance companies and offers several plans with varying coverage options to best meet customers’ needs and preferences. Delta Dental offers state, government, and community programs designed specifically for group memberships. Additionally, they have a large network of dentists all over the country, an important consideration to keep in mind when deciding between different plans. Aetna is one of the most popular companies that offer affordable dental coverage. It offers several benefits to its customers, which is why it is a highly preferred insurance provider. Aetna provides entire health plans that its members can combine with a dental plan, as well as offer individual dental, pharmaceutical plans, and more. Furthermore, they offer individual programs as well as group programs. One of its benefits is its extremely large dental health care network while offering a large degree of plan flexibility. They have a reputation for being very informative regarding insurance plans and their offers to help consumers make an informed decision on which plan is best for their needs. Careington is another highly popular insurance company for dental care. 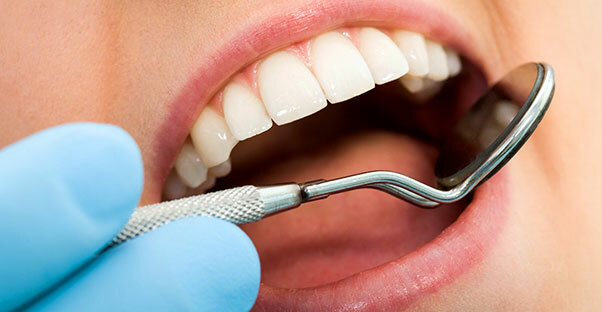 It boasts of a highly credible roster of dental health care providers and products. Careington is known for its large variety of dental insurance plans from which to choose that are also some of the most affordable options. Their network of over 54,000 dental clinics is also one of the largest in the country. UNI-Care is another well-known dental insurance companies. UNI-Care is known for allowing consumers a large degree of control over their desired dental plan. With a UNI-Care dental plan, you can give priority to the form of treatment that you desire. Members can choose from preventive dental care, basic restorative, major restorative, reconstructive, as well as orthodontic. UNI-Care also allows the chance to include memberships in fitness clubs, weight loss programs, teeth whitening, free food supplements, hearing aids, to create a fully all-encompassing health insurance coverage plan. Plans are very affordable for the degree of flexibility they offer. Other dental insurance companies may be worth a comparison as well, especially when comparing affordable prices. Check out dental plans offered specifically within your state, especially for options which combine dental insurance with a health coverage.